He’s tall. He’s lanky. He kicks goals in Div.2 and can play a role in Div.1 with his towering goal square leaps. He's also this year’s Toronto Dingos Football Club BBQ host: Paul Tinkler. 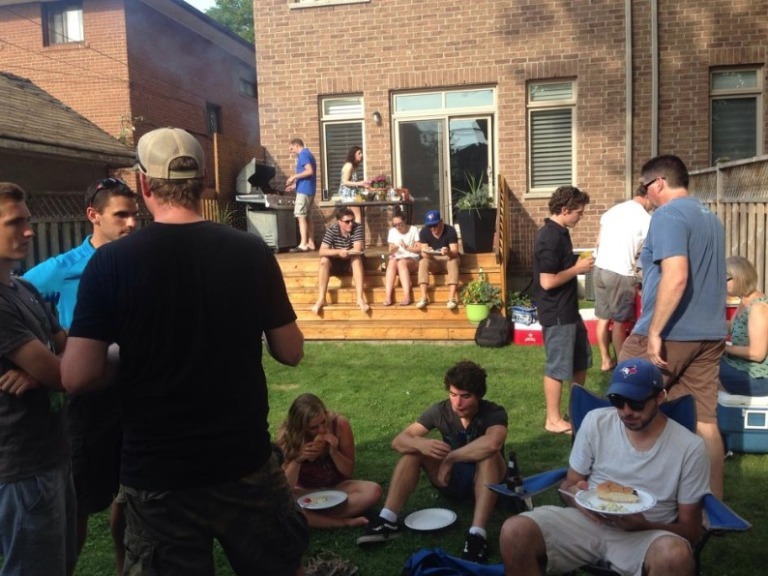 After the two wins against the Hawks at Scarborough, more than 20 players, club members and family supporters made the trip to the west end of Toronto for burgers, sausages and salads. 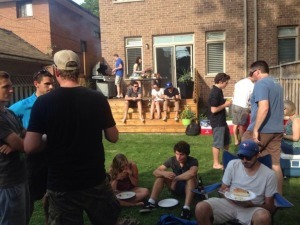 The annual BBQ has become a staple in the Dingo’s social calendar. Each year one of the players puts their hand up to host the event. Each year it is somewhere different: The Steinbergs'. The O’Briens'. The Stewarts'. Everyone takes a turn. Gary Conlon said the potato salad was "simply divine." Vice president Jimmy Duggan enjoyed the burgers by saying "they were juicy and fresh." Alex Aitken was impressed with the level of comfort at the host destination, "How good are these chairs?" Dingo Veteran Bob Clarke soaked up the atmosphere and when asked if he had fun he said "I'd come back for sure." Rolling Stone Magazine said it best: "best BBQ bash of our time." Here’s some of the photos from Saturday’s BBQ.